Just in time for an accelerated spring (many flowers seem to be 2-3 weeks ahead of where they were last year), I finally felt up to getting out for a nature photography trip. The four antibiotics I'm on have finally knocked the Lyme disease and Bartonella infection down to a manageable level (look for a future post with lots of Lyme disease info for nature photographers; maybe you can learn from my ordeal). I still lack my old stamina and I'm still having periodic minor setbacks, but I'm definitely on my way back to "normal". I visited one of my favorite DC area wildflower spots, Turkey Run Park, off of the George Washington Parkway. This spot has a great diversity and density of wildflowers. It also has the great benefit of being almost entirely devoid of people, especially on weekdays and/or mornings. 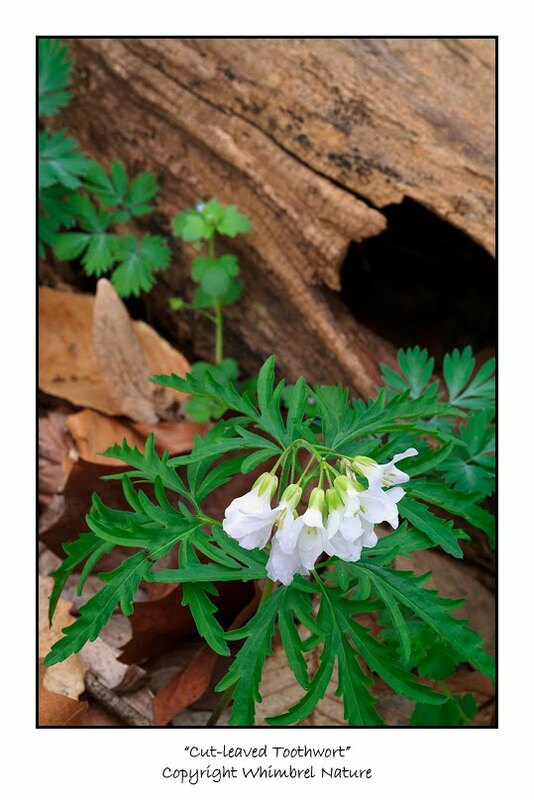 The steep "Switchback trail" and the Potomac Heritage Trail, heading upriver, are fabulous spots for a wide variety of early spring wildflowers, including impressive densities of trout lilies, Dutchman's breeches, squirrel corn, and even bluebells. 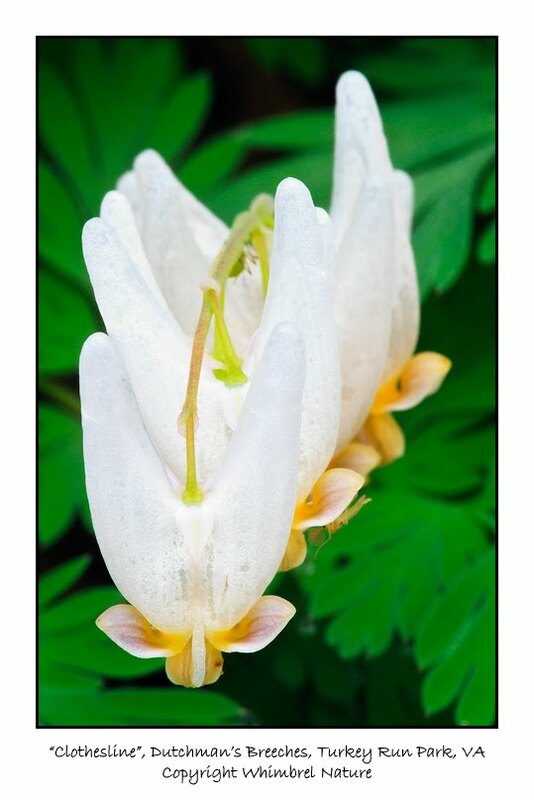 The flowers are pretty much at peak now (except for the squirrel corn), so if you want to catch them this year, go soon. It felt so amazing to be back out in nature and photographing again. The rebirth of my health coinciding with nature's annual rebirth. Though it was a pretty short trip by my standards (I had a worried wife waiting at home), I savored every minute I was out there and each image I took. Quite frankly, every image I took that morning could have been god awful, and I would still have been blissfully happy. Just enjoying being alive, surrounded by beauty, out of my house, and relatively free from pain. I've gained a new appreciation for how lucky I am to be able to do what I do. Please get out there and enjoy the beautiful spring! Life is too short to miss it and you never know how much time will be granted to you to enjoy it. 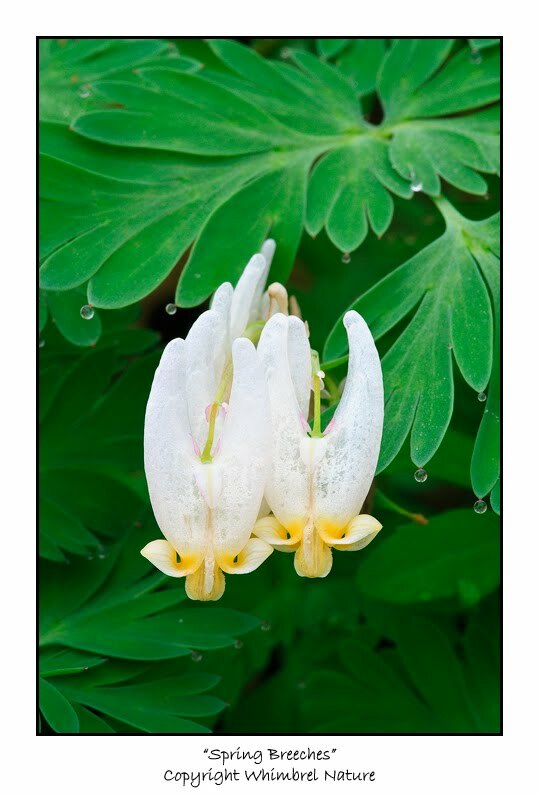 I loves the images of the Dutchman's breeches, I miss seeing them in the spring.